When you stay at The Wind in Na Chom Thian, you'll be by the sea, within a 15-minute drive of Buddha Mountain and Anek Kuson Sala. Featured amenities include a 24-hour front desk and an elevator (lift). Free self parking is available onsite. 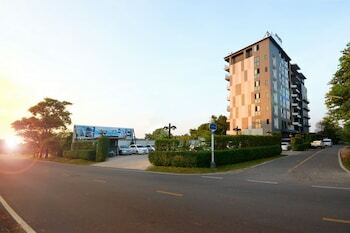 Located in Udon Thani, Bouquet Boutique Hotel is within a 10-minute drive of Prachak and Udon Thani Park. The front desk is staffed during limited hours. Free self parking is available onsite. With a stay at Summer By Favstay in Hua Hin (Khao Takiab), you'll be within a 10-minute drive of Hua Hin Market Village and Wat Khao Takiab. Located in Patong, Phuket Sira Boutique Hotel is within a 15-minute drive of Patong Beach and Bangla Road. Featured amenities include a computer station, a 24-hour front desk, and an elevator (lift).